5 Tips for your Antiques Appraisal Appointment | Skinner Inc. 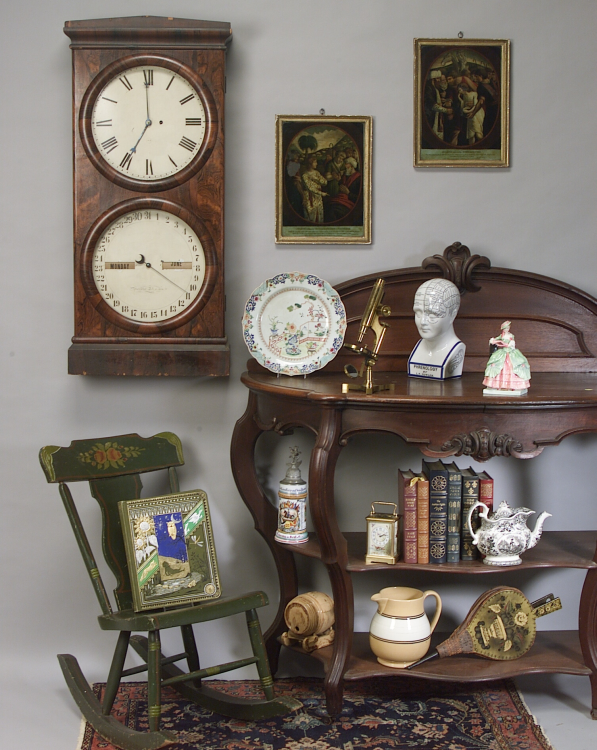 When your antiques, collectibles, or fine art need a new home, an auction house can help. Read our blog series on Consigning Property for Auction to find out how the process works. Once you’ve called an auction house to discuss what you have, the next step is often an appointment to meet with an expert appraiser for a more detailed look at your material, and some advice about what it might bring at auction. Far from being routine (this is no trip to the dentist), an appointment to have your property evaluated can be a surprising and often rewarding experience. But we also recognize that it might not always be easy to pack up a treasured heirloom or antique chest into your car to come see us. So we’d like to offer these tips on what to expect during a fine art or antiques appraisal appointment at Skinner. 1. Let us know everything you are bringing at the time you book your appointment. We will match you up with an appraiser with expertise evaluating the kind of material you are planning to bring. Sometimes, rather than bringing a large piece of furniture or an entire set of silver or china, it may be appropriate to bring a few photos or representative pieces. If it’s your first appointment, please bring no more than 12 items. 2. Check in at the front desk upon arrival and before bringing anything inside. The receptionist will direct you to a room to unpack your items. Should you need help, just ask— we have rolling carts and are happy to help bring in your items! If you have a large piece of furniture, we’ll have someone come out to your car for a first look. If it needs to be taken out, we can do so at our building’s loading dock, rather than in the busy lobby. 3. Unpack your items before meeting the appraiser. Once you’ve been directed to a room, we ask you to unpack so that the appraiser is able to see and handle your objects easily. Depending on what you bring, you may want to arrive a few minutes early to unload and unpack. 4. Keep in mind that an appointment lasts 30 minutes. The schedule is tight, and if you have a large number of items (certainly more than 12), a personal house call may be a better fit for you. 5. Get a free auction estimate with no obligation to consign. An auction estimate is a verbal opinion of value given free of charge by Skinner appraisers. While Skinner offers auction estimates at no charge, written appraisals are subject to a fee. To schedule an auction evaluation appointment, call Skinner at 508-970-3000. If you’re not in the New England area, you can also fill out our online auction evaluation form and submit photos to us for evaluation. We hope these brief pointers will help you to get the most out of your appraisal experience! This entry was posted in Blog and tagged antiques appraisal, auction estimate, auction evaluation, auction house, consigning property, Consignment FAQ, expert appraiser by Skinner. Bookmark the permalink. I recently found some old furniture while cleaning out the attic of my wife’s grandfather, and they seem like they are in good condition. Because of the find, I was thinking of getting an appraisal to find out if they are worth keeping or just use wherever they might fit. The tip about how a verbal estimate can be free is a great help, since I don’t think the family will appreciate me selling them without discussing. Hi Howard, Skinner’s Appraisal Department would be more than happy to assist you in finding out more about your furniture. Please submit photos and an auction evaluation form via our website: https://www.skinnerinc.com/selling/auction-evaluation-form/ or contact the Appraisal Department directly at 508-970-3299 or appraisals@skinnerinc.com. Thank you! When my fiance and I were going through some of our stuff in storage, we noticed a few antiques. We want to go in and get an appraisal for our things to see how much they are worth. It was helpful to read that these are usually only thirty minute appointments.